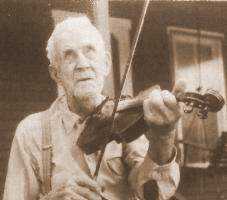 "Man of Constant Sorrow -- Richard Burnett's Story,", Old Time Music, No. 10 (Autumn 1973), p. 8. Lyrics as printed in "Songs Sung By R. D. BURNETT. The blind man. Monticello - - - Kentucky." (no date); reprinted ibid. p. 10. Oh, six long year [sic] I've been blind, friends. For I have no parents to help me now. Perhaps I'll die upon the train. For many year [sic] there I may lay. While I am sleeping in the clay. In this vain world no tongue can tell. Where we can meet on that beautiful shore.